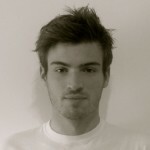 I am an Architecture graduate from Cambridge University, now living in London studying Modern and Contemporary Art. Having visited France regularly from a young age, and making frequent trips to Paris more recently, I have developed a love for all things French, particularly it's architecture! The Luxembourg Palace, or ‘Luco’, as it is affectionately named, is set within its own majestic gardens and has been at the centre of French culture for centuries. France’s modernist master – or monster? Le Corbusier is arguably the most influential architect of the 20th Century. What do you think? Did you know that on average, for every ten buildings designed, only one is built? Will the French ever embrace modernity? Paris must be an exhibition, not a museum.